We are about a minute’s walk from West Croydon Mainline Station, West Croydon Bus Stop and the Tramline. Paid parking is available along Derby Road. ​We appreciate your opinions and are continually looking for ways to improve our services and ensure that you have the best possible experience with us. You can help us get it right by telling us what you think of the service delivered by us. Please email us on info@wc-dp.co.uk. Your views are greatly appreciated. If for any reason you are unhappy with the service you have received from us, we would like the opportunity to put this right by receiving your complaint directly. Your complaint can be made in person, in writing or by telephone (0208 688 9985). We aim to respond to complaints as effectively and as quickly as possible. Please contact info@wc-dp.co.uk. ​If you wish to make a complaint about your NHS treatment, your complaint must be made within 12 months of receiving treatment. If you are not happy with the way your complaint was handled then you can contact NHS England (0300 311 22 33), which is responsible for NHS dental services or you may wish to contact the Parliamentary and Health Service Ombudsman (PHSO). The PHSO makes the final decision on complaints that haven’t been resolved by NHS England. You can call on 0345 015 4033 or use the PHSO’s secure online form to raise your complaint. 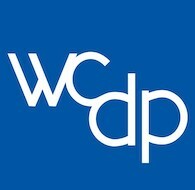 If you wish to make a complaint about private dental services, please contact us by phone on 0208 688 9985 or in writing at info@wc-dp.co.uk. Your complaint must be made within 12 months of receiving treatment. 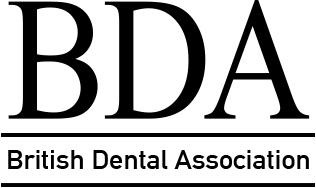 If your complaint is not resolved satisfactorily, you can also contact the Dental Complaints Service on 020 8253 0800 (Monday to Friday, 9am to 5pm) or visit its website for more information.